Under 9:00 minute mile for six (6) weeks in a row earns you a medal that you wear to graduation. Congrats! Seven (7) more miles to earn yours! im going to finish the 5k and get it over with. good job everyone who made it in the viper club with me. keep up the good work and there will be more people by next week. GOOD jOB yU GUyS…kEEP UP tHE GOOD WORk..
why is it called “viper”?? just wondering. yay! im in the club lol^x^ we’ll good luck pples!!!>. 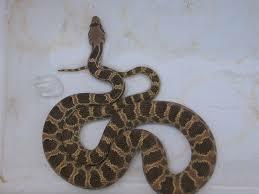 Just 2 more weeks and ill be in the viper club. I cant wait to get that medal and i cant wait for the 5k!!!! i totally remember this song me and my big brothers would always sing it i use to know the lyrics but now i dont but its fun when we listen to it in PE we it brings back alot of memories! Good job so far! !I hope to get in the Viper Club soon as well!!! GOOD JOB u guys! keep up the g00d work! we have a school mascot? do we get another medal? because most of the viper club people have already reached 6 miles which automatically gives us a medal but then we also have to do other miles, like Kayson, me, and some other people have already done 7 miles and this will be our 8th mile this week! so i think that we deserve another medal if we’re going to keep running the other miles. i’m not saying it’s fair or unfair but what i’m saying is that we deserve it. To be honest Natalie, the medals are something we came up with last year to honor everyone who is in the Viper Club. It’s a bonus, and a way of recognizing good runners. The mile is still a part of your PE grade, and no, there won’t be two (2)medals! Besides you, there are 20+ people already in the Viper Club. How crazy would that be? You just gotta keep doing your best job to get a good PE grade. yea but wut if we get tired and then we suddenly lose our viper status? and then we have to make up everything again and i wouldn’t really like that. i mean all our hard work is suddenly lost! just thinking about that really scares me and i do work hard to keep my viper status but sometimes i feel like i’m gonna lose it one day because we have like 8 more miles to run. Nat, you can never lose it. You already got it! gud job guys keep it up!!! nice all of u are faster than me! yay!!! good job though hopfully i can be in the viper club! [[[yay!!! im in the viper club im so happy i finally got in.]]] patricia u can do it ur almost under nine minutes.